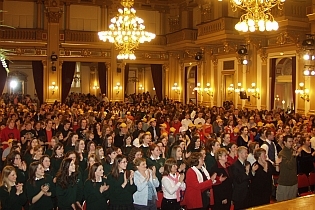 Events Bohemia is organizing customized concert tours for both choirs and orchestras. Based on many years of knowledge and expertise we are devoted to craft the ideal tour for your ensemble. We can offer you a magnificient venues in Prague and Bohemia, friendship concerts, renting musical instruments and other services you may possibly require and need.